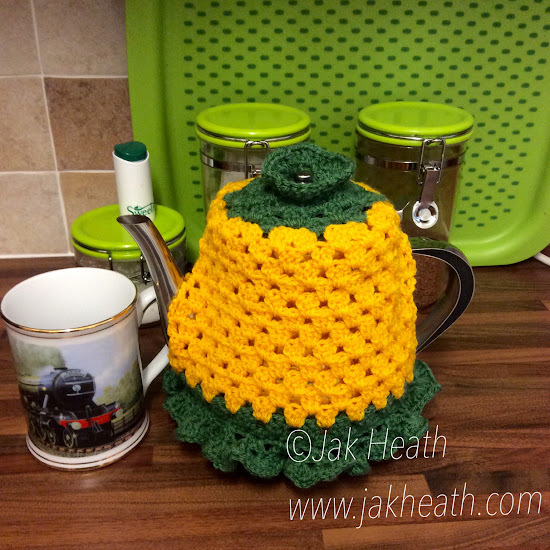 A new Tea Cosy for my teapot. Both Chris and I love a full bodied cup of builders tea so we like to brew it the old fashioned way in a teapot. I got out the crochet hook and set to, it fits nice and snug. Looks fabulous! Did you use a pattern or just make it up as you crocheted? Love it Jak! The colours are gorgeous!